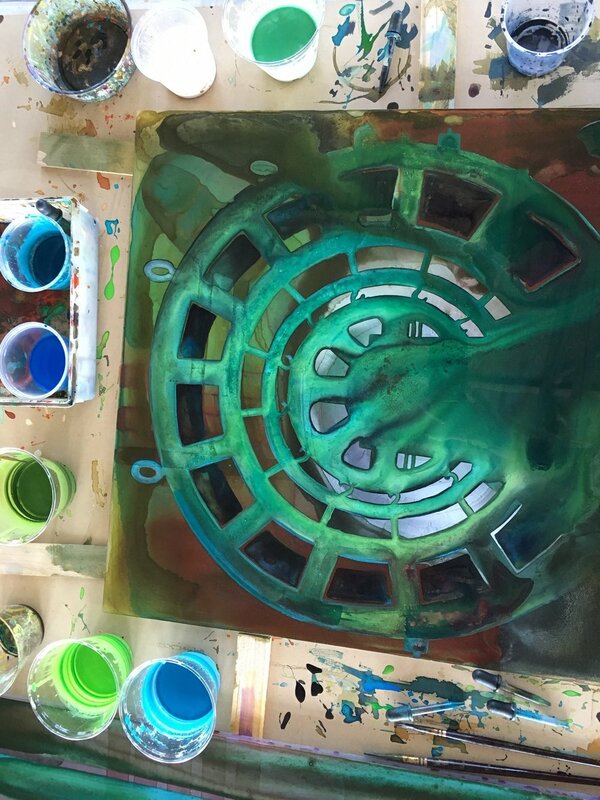 David Burke spent the month of August in Uptown Butte and especially at the Anselmo Mine Hoist House working on his Reimagine Montana works. 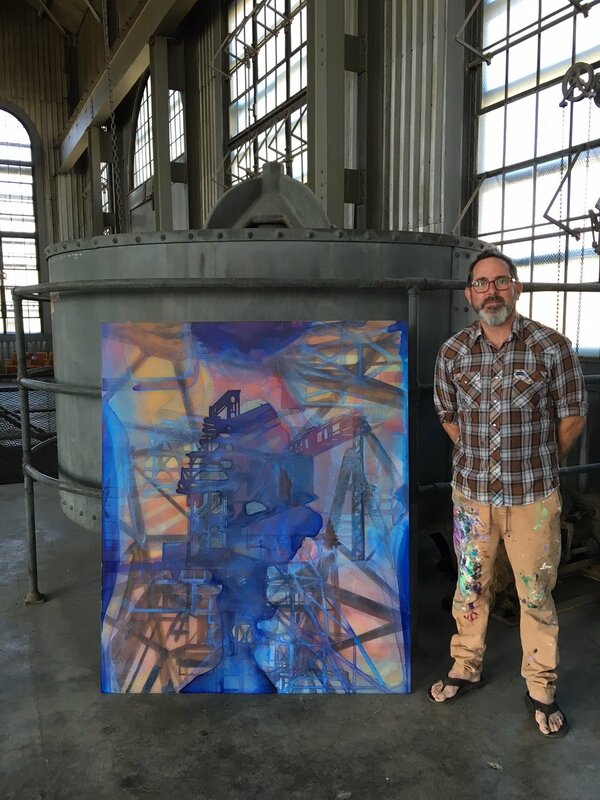 Burke is a talented artist from Oakland, CA with an affinity for industrial landscapes. He works with water-based paints on translucent panels and lights them from behind to create beautiful, ethereal work. He is currently the art director for the Oakland Super Heroes Mural Project and is the co-founder of the Autobody Bridge Program for emerging Bay Area artists. Last year he was selected by Zero1 to go to Laos as part of the flagship American Arts Incubator program that sends artists abroad to collaborate with underserved populations on community-based new media and mural projects that bolster local economies and promote social innovation. David gave an artist’s talk on his work in Butte at the Imagine Butte Resource Center on August 24 with two others. To learn more about Burke, read the recent article in the Montana Standard, or visit his Facebook page, or his website. His residency was hosted by Butte-Silver Bow Public Archives and the Butte-Silver Bow Historic Preservation Program.